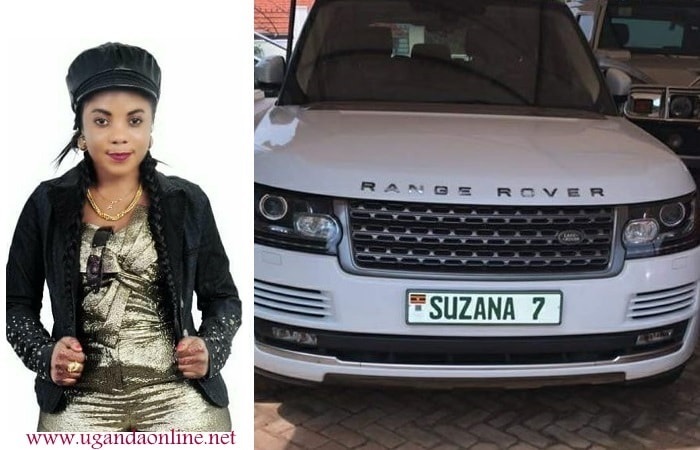 Susan Namutebi aka Suzana is not only the most loaded babe, but could also give folks like SK Mbuga a run for their money..
Top loaded female socialite, Suzan Namutebi aka Suzana has customized her white Range Rover Sport with 'Suzana 7' customized reg plates. This down to earth moneyed babe could soon give socialite SK Mbuga a run for his money going by her posh rides, Suzana Apartments on Entebbe road that will soon be on the market let alone her posh crib that has seen several artists use it for shooting their videos. It's around that time of the year when the late Ivan Semwanga would be painting the town red, but this year, Christmas won't be the same without him to many in the entertainment circles. Some clubs are already feeling it and so are the partiers who were looking forward to open bars, seems unlikely this time around. The Rich Gang's cancellation of their party goes further to confirm that it's not business as usual. UGX 15million was required to host a party at Guvnor, but sources say the current Rich Gang crew has failed to raise the amount. Suzana has used more than just that to customize her Range Rover Sport ride. 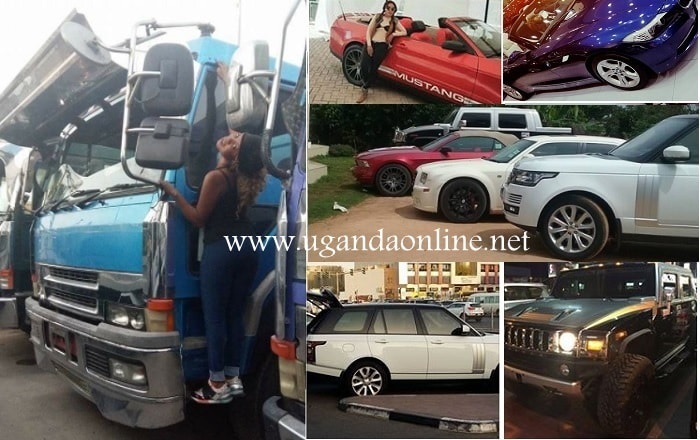 Other rides owned by Suzana include a purple BMW 2 seater, white Chrysler, Maroon Ford Mustang, black Hummer pick-up plus several FUSO trucks also known as 'Magulu Kumi' that help with the transportation of building materials at her Suzana apartments. The death of Ivan Semwanga has left a very huge gap in how this game is played. Bryan White had come with a new glimmer of hope in this direction causing some bit of inflation in the last two months, but dude has spent the last 72 hours in the dock for allegedly shooting at someone. Suzana striking a pose on one of her trucks code named as "Amata Ga Suzana"